Directions:FM 1960 EAST OVER LAKE HOUSTON, LEFT ON FM 2100. APPROXIMATELY 5 MILES TURN LEFT ON HUFFMAN CLEVELAND RD. TURN RIGHT ON VALLEY COMMONS, LEFT ON MISTY OAKS, LEFT ON RIVERSIDE CREST LN. JUST AROUND THE CURVE PROPERTY WILL BE ON YOUR RIGHT. SchoolsClick map icons below to view information for schools near 907 Carriage View Houston, TX 77336. Listing provided courtesy of City Group. Home for sale at 907 Carriage View Houston, TX 77336. Description: The home at 907 Carriage View Houston, TX 77336 with the MLS Number 76805925 is currently listed at $325,000 and has been on the Houston market for 73 days. 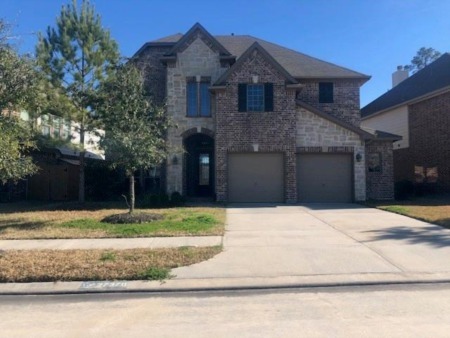 You are viewing the MLS property details of the home for sale at 907 Carriage View Houston, TX 77336, which is located in the Commons Of Lake Houston subdivision, includes 4 bedrooms and 2 bathrooms, and has approximately 2121 sq.ft. of living area.